Hello everyone… I first want to thank Alicia for trusting me with her blog and for her wonderful introduction. As she mentioned I bake vegan desserts and I hope you all feel like trying something new. 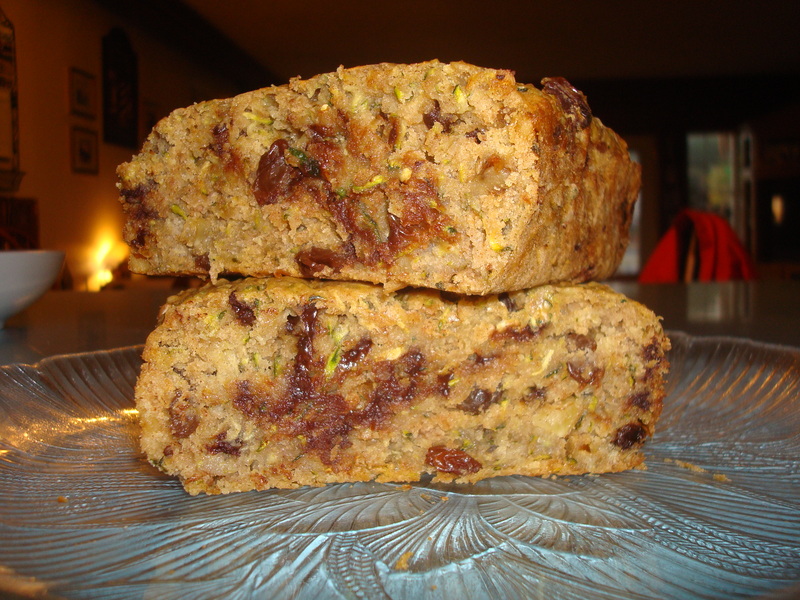 This first recipe is for Zucchini bread, it is so easy and absolutely delicious; it never lasts for more than 2 days in my house. There isn’t a lot of sugar in the bread, so it’s perfect as dessert (just add some chocolate chips), a snack, or warmed up with some Earth Balance butter for breakfast. Keep Reading for the recipe…. **You may need to add up to ¼cup water if it’s too dry, but be careful not to add to much. Do a few tablespoons at a time. (3) Add the egg replacer, sweetener, oil, vinegar, and vanilla and mix in. 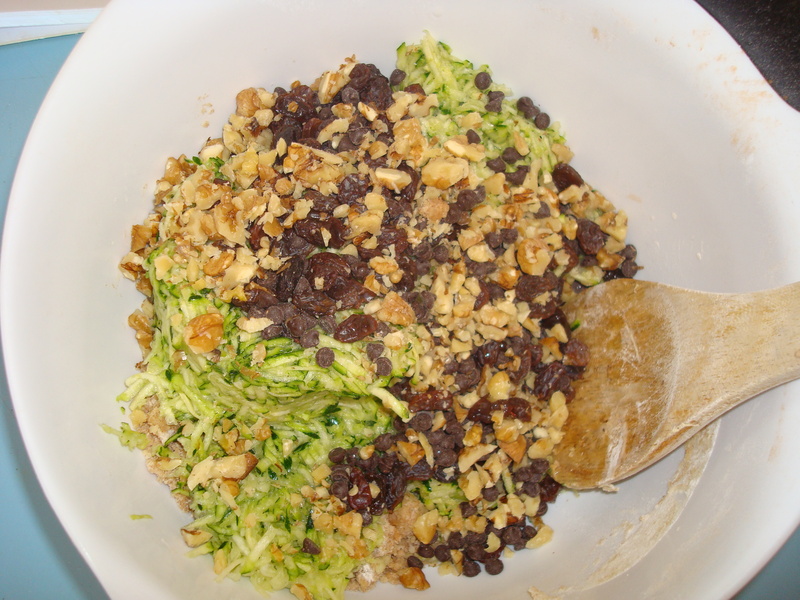 Then add zucchini, raisins, and nuts. Mix gently until it is “just mixed”. Add water if the dough seems too dry, but remember not too much. Just do a tablespoon at a time. (4) Spoon the batter into a lightly oiled loaf pan and bake for 45-50 minutes. Use a knife to see if it’s done. Once out of the oven let it cool for about 10 minutes before slicing. If you want more tasty recipes like this one, visit your local library and check out HOW IT ALL VEGAN! It is my favorite cookbook. Thank you for visiting my blog! Hopefully, I'll inspire you to make some tasty treats for yourself, friends and family. Check back for some more yummy recipes! Subscribe to email updates to know as soon as new recipes are posted.